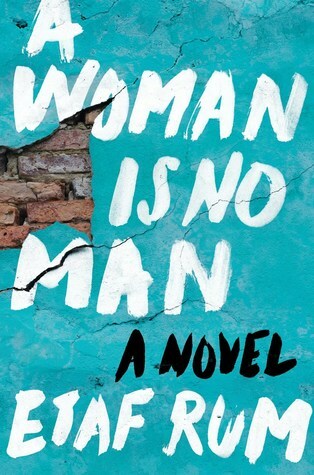 There are so many things I could rave about in regards to Etaf Rum’s debut novel, A Woman is No Man. It is one of those stories that make you sit back after finishing and just breathe in and out a few times as you quietly digest what you just read. 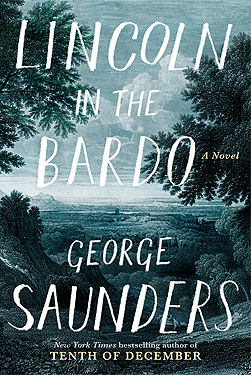 This story is packed with heavy thematic elements such as: a woman’s worth, integrating one’s cultural identity with one’s immigrated identity, breaking that vicious cycle of history repeating itself in potentially harmful ways, the power of books and story telling, and the infallibility of memory. I won’t dive into all of these thematic elements, but I just want to let you know they are all there, in case one of them encourages you to pick up this book. Told from three different points of view across the span of three generations, we hear three clearly distinct voices of Fareeda (the grandmother), Isra (the mother), and Deya (the daughter). Each of these women gives their own voice to what it means to being an Arab-American, all differing opinions of course that harness the majority of the novel’s tension. While they all might feel differently about being Arab-American women or see the role as meaning something different, the three of them echo similar sentiments about what it means to be a women in their community. 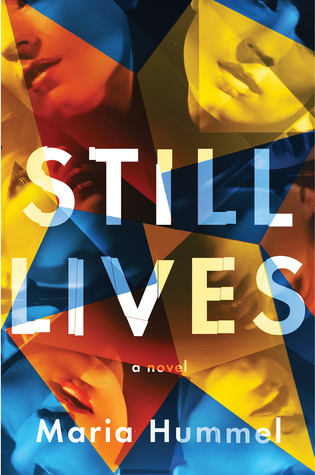 Questions of female worth are brought up constantly in this novel and also relate to how each woman holds onto or dismisses facets of their cultural identity as a result. We hear Fareeda and Isra’s mother consistently make their daughters feel worthless when compared to their brothers. They make remarks about how Sarah and Isra are burdens to them, and only will marrying them off will make them find relief and comfort. These two are examples of women who grew up in Palestine and follow the old ways and hold tightly to these ideals that comprise their cultural identity. We see Fareeda’s constant struggle for power in holding onto this identity while living in America, not only for herself, but for her family as well. She believes her worth as the matriarch of the family to be greater than her daughter-in-law, Isra and granddaughter, Deya. Deya, who is born and raised in America, is the polar opposite of her grandmother. She’s outspoken and questions certain traditions, like the one that insists she marry after graduating from high school. She does everything in her power to resist her grandmother’s attempts to match her with potential suitor’s, and eventually discovers more secrets about her family’s history that prompt her to break away from this piece of her cultural identity. She often feels as though she is torn between being her two identities with no real means of escaping the inevitable. Deya values her self worth the most out of all the women, but due to circumstances of her childhood, it becomes clear why she so adamantly feels this way. Isra’s character falls somewhere in between Fareeda and Deya. She’s constantly hoping to please her mother-in-law and to uphold their traditions. She believes by being a good daughter-in-law and wife, she can in turn be a good mother. She hopes for love above all, and finds herself sorely disappointed upon realizing its in short supply. Like Deya, Isra also feels torn between two worlds, but she fears becoming too exposed as an American, and thus compromising other aspects of her life, not necessarily limited to cultural identity, but to the relationships she has with other characters. 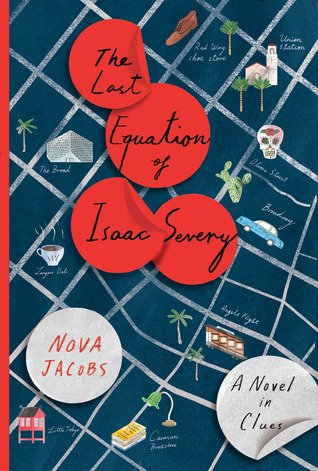 Her view of her own self-worth changes over the course of the novel, but also comes with a price. Sarah is a minor character who serves to further develop all three characters in various ways. She serves as a reminder of hardship to Fareeda, a source of friendship and courage to Isra, and a beacon of hope to Deya. I can’t say too much about her without invoking some spoilers, but that is my overall analysis of her as a character. Rum deftly creates three distinctive and deep personalities with these three protagonists (and also a bit with minor character, Sarah), all with secrets of their own that take the entire length of the novel for you to fully understand. Her writing is painfully exquisite with the emotions it stirs inside of you. Her descriptions of Palestine and of New York City are lovely, but what she really excels at is the dialogue. The novel is primarily told within the confines of the family’s house, which is not much to describe beyond the first few introductory pages. But you feel a strong sense of emotion and how fragile and insecure the ties that bind the various family members together are; how easily they could become severed if one were to disrupt the dynamics of the family and/or their cultural identity that’s rooted in their traditions and beliefs. That alone creates an atmosphere of immense tension, intrigue, and suspense that dares you to read on. You probably are not surprised to learn that from this review, I gave this one five stars. There are so many other things once could discuss about this book, but this idea of female worth in regards to one’s cultural identity was most prominent to me. 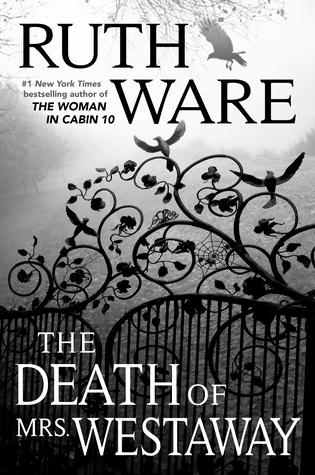 I am SO excited to talk about Ruth Ware’s latest novel: The Death of Mrs. Westaway!! But first, I wanted to share something a little personal with you all. Ware’s books are really special to me because my one aunt, the one who has always fostered and supported my love of reading and writing, introduced me to them! Two years ago for my birthday, I was living in a pretty dingy, dirty apartment. I felt depressed more often than not, and really craved anything that would either literally or mentally transport me to another place. I don’t know if she ever knew that or not, but she definitely made a point to talk to me about books, my writing projects, and everything that kept me centered in my life. And then, one crisp day in fall, in a rundown coal town in Pennsylvania, a brown package arrived. It wasn’t anything special really. My husband and I furnish our hobbies and home with stuff from Amazon. I thought it was just another piece of sports memorabilia or one of the hundreds of books that I purchased that year. But no, it was a birthday package from my aunt. As I opened it and read the card, it became pretty clear that she had taken the time to really think this gift through. I was, of course, touched, In her card she wrote about how Ruth Ware started out working all kinds of jobs that weren’t really her passion (definitely the previous chapter of my life, and often at times the present too) before she wrote two books and made a name for herself. And then she went on to gush about In A Dark, Dark Wood, saying it was one of the best books she read in a long time. And alongside it, she included The Woman in Cabin 10. Now, I believe The Woman in Cabin 10 was once offered as a BOTM option because the title sounded familiar to me. For some reason, I didn’t select it that month. But it hardly mattered to me because my aunt generously gifted it to me. Now I feel compelled to return the favor. You see, my aunt’s son passed away this year. He, like myself and a few others in our family, suffered from depression. Unfortunately, he lost his battle with it and took his own life shortly after the new year. She’s doing all that she can to get through it. And while I cannot begin to understand her grief, I know what it’s like to feel depressed and like you’re stuck. So I’ve decided that I am going to repay her for her generosity and gift her with her own copies of The Lying Game & The Death of Mrs. Westaway. I’m hopeful she likes them as much as I did, and this is an author we can gush over whenever we get together. Now onto my thoughts and feelings on Ware’s fourth read, The Death of Mrs. Westaway. Ware creates another heart pounding tale built on deception & lies. Which is pretty typical for a Ruth Ware novel. However, she deploys the use of the unreliable narrator in a different manner than in her previous novels. Something I greatly appreciated whenever I noticed it. Our protagonist, Hal, is a bit of an underdog. She’s been dealt kind of a raw deal in life, and is barely hanging on whenever we first meet her. You definitely feel for her, and even when she does some morally questionable things (to ensure her own survival), you feel she truly is a good person whose been thrust into a hard life. And things just keep getting harder for her, right up until the very end of the novel. But it makes you as a reader commit to seeing her story through. Because in typical Ruth Ware fashion, you have some idea of how things will end, but not everything. I also felt like Ware has grown a lot as a writer. Once again, we see a host of unique characters, all with well rounded out personalities. Her writing is descriptive when necessary, and heart pounding through nearly all 368 pages. There’s also a lot of literary elements that make this a well crafted read. Like the nods to Agatha Christie. It’s almost like she’s accepted the title the bookish community has given her. I really enjoyed this one, and thought it deserved 5 stars! I highly recommend to anyone who likes suspense and mystery, even if you’re a first timer to Ware’s novels. Anyone else out there a Ware fan? What’s your favorite novel? Or are there any good mysteries your recommend? Let me know! Until next time, bookworms! Happy reading! Since it is an ungodly hour on my side of the world this Saturday morning, I thought I might as well make myself useful and post a weekly reading update! As far as my reading goals that I outlined in my BuJo go, I did accomplish (or will shortly accomplish) them! They weren’t lofty. I merely wanted to finish my current read: Small Country & to start a new book, which I will here shortly with The Death of Mrs. Westaway. I also discovered this week that I think I need to take a hiatus from my Throwback Thursday: Classic Reads Edition. I got about 66% through my current read for this (The Adventures of Sherlock Holmes), and then I decided WHAT AM I DOING? I really just don’t think I have the mind for classic reads. I struggle with focusing, retaining information, and not allowing my mind to wonder a lot with reading as it is. The classics just seem to amplify these deficiencies, and as a result I am continuously frustrated and disappointed. I might try again later in the year, but I am relieving myself of that pressure to do one classic read a month. And also, as I discussed with my bookish bestie, classic novels are a bit outdated for our modern minds. We’re used to short snippets, or direct communication. The circumspect style of writing doesn’t really suit the modern reader, unless one is on point with focus and lives and breathes for this sort of writing. So I am up to 7 on my list of abandoned books. But this is only the second book I abandoned in 2018, and it was also, my second classic read. Anyway, onto the book I DID finish this week. 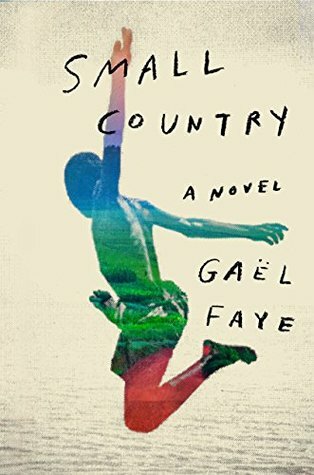 Small Country: A Novel by Gaël Faye is actually originally in French, but the translation in English read beautifully to me. 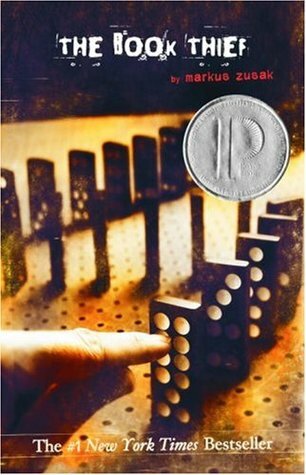 A coming of age story set against the backdrop of a country on the verge of civil war. Our protagonist is ten year old Gaby, a quiet, thoughtful as well as mischievous boy. His childhood is full of pranks he pulls with his friends on their neighbors as well as secret meetings where they smoke cigarettes and drink beer in their fort built out of an abandoned van. Except the small privileges of childhood that he enjoys are on the verge of ending as the first democratic election has dire consequences in his mother’s homeland of Rwanda, and eventually, in his rather picturesque cul-de-sac. Told through the eyes of a child, Gaël Faye’s story is full of innocence and humor. His writing style uses rich, descriptive language that makes you feel transported to the suburbs of Burundi. Each section is short, and employs meaningful anecdotes that drive the action of the plot forward. The story was heartwarming, horrifying, and beautifully written all in one. It is rare for me to give a story five stars, but this one felt entirely deserving. It’s one of those stories that stays with you and touches your heart deeply after you finish it. 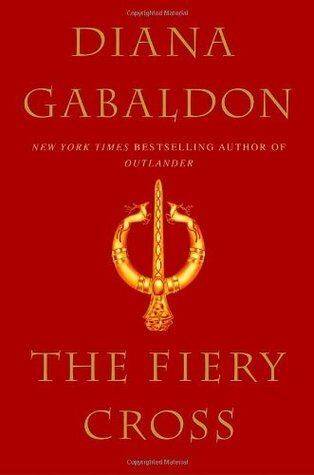 What are some of your 5 star reads for 2018? I am always looking for recommendations! Well if you stumbled upon my blog post, thanks for reading! For fans of the Outlander series, Jamie & Claire are at it again. Taking our breaths away with the beauty of their words in a poignant manner that doesn’t at all feel cheesy. Their relationship has literally stood the test of time, even if we always aren’t sure just how much time passes in these books due to the infrequent pacing. And they have not only a love that is one of kind, but a mutual respect and friendship between one another that others for this time period wouldn’t have. But enough gushing about this crazily strong power couple. Onto the actual content of this book. So anyone who picks up this book is undoubtedly well invested in this series. At 1,000+ pages a novel, you kind of have to be once you reach the fifth book. Needless to say, this book was more or less filler than anything else to me. Diana Gabaldon, or DG as I affectionately refer to her, had so much action, suspense & adventure packed into novels 1-4. This one had some elements of action, but the drama was more domestic than anything else. And I suppose it could be argued that we needed a book like this at this stage in the series. The four main characters really haven’t had an opportunity to live together (that we have seen at least), so it kind of made sense that this one showed the mundane happenings of everyday life. Even so, did we really need 1443 pages of it? I don’t think so. I know she is big on the details. But come on, there were at least 100 pages where she described Breanna’s love for her child through the way her breasts felt. Like it’s fine to do it a couple of times to emphasis her bond with him, but this was so excessive to me that it literally became an inside joke between Emma & I. There are other ways to explore feeling and emotion between characters. I mean, she finds new & exciting ways to keep us engaged with Jamie/Claire, and they have been prominently attending to their maternal duties for approximately 5,000 pages. You would think she could do the same with a mother & her child. That wasn’t the only thing that kind of set my teeth on edge. Like Fergus and Marsali are Jamie’s adoptive children, and that part of the family were hardly mentioned throughout this narrative. I get that they are more minor characters and we needed the Jamie/Roger scenes in order to establish their importance because up until this point they haven’t interacted a whole lot. But still! Fergus & Marsali have a uniqueness to them that kind of mirrors Jamie & Claire. Whereas, Breanna & Roger’s scenes just feel awkward for me. I suppose my personal bias and preference of characters really played a role in this review as well. But you can’t connect with every single character you’re presented with, especially in an epic length series like this one. In the end, I gave this 3 stars because I felt it was fair. DG clearly put a lot of painstaking details into this novel, and reveals that some seemingly insignificant ones you read earlier and in book four, really are significant. She also leaves a couple of loose ends to keep you guessing where the major conflict in book six will end up. All in all, you need to approach this series with the mindset that there are going to be books that you enjoy more than others. I am of the belief that if you find a character or two that you love, and want to see where they end up, that you should try to stick to a series until the end. So that is what I think I will be doing with this series. Also, it’s become a mutual interest for my Belgian bestie & myself. And it’s fun to discuss, and to also vent your frustrations to someone who is reading alongside you. I don’t know that I would have been able to forge ahead as quickly as I did with this book if it wasn’t for me having a buddy to do this with. So for those slow readers out there, I would vote you pair up with a buddy who can help support you through this one. In terms of ranking the Outlander Books, below is mine, and you can deduce from it where I saw this one. (Side note: I had a bit of a laugh because it is almost in chronological order hah). How does your ranking of the first 5 books compare? Am I totally off base with my thoughts and feelings? Until next time bookworms! Happy reading adventures!